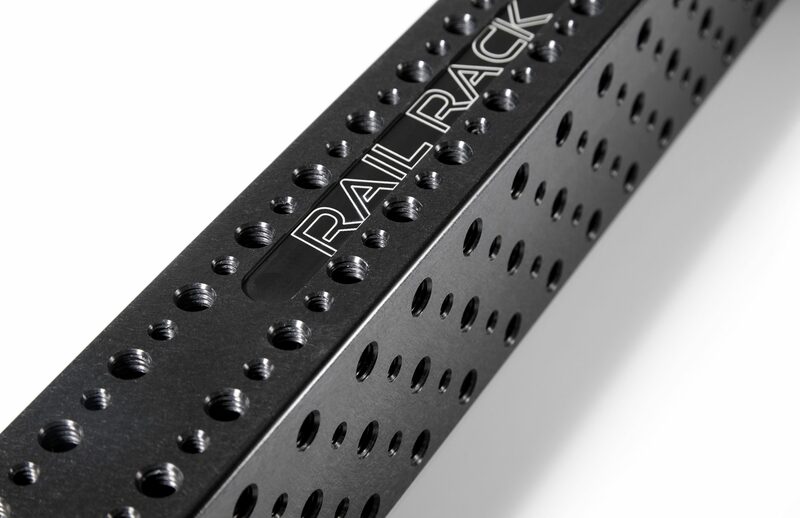 The Rail Rack Assembly was designed by Cine Tools in Simi Valley California. 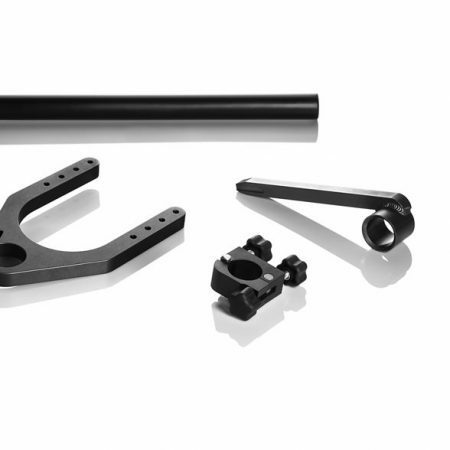 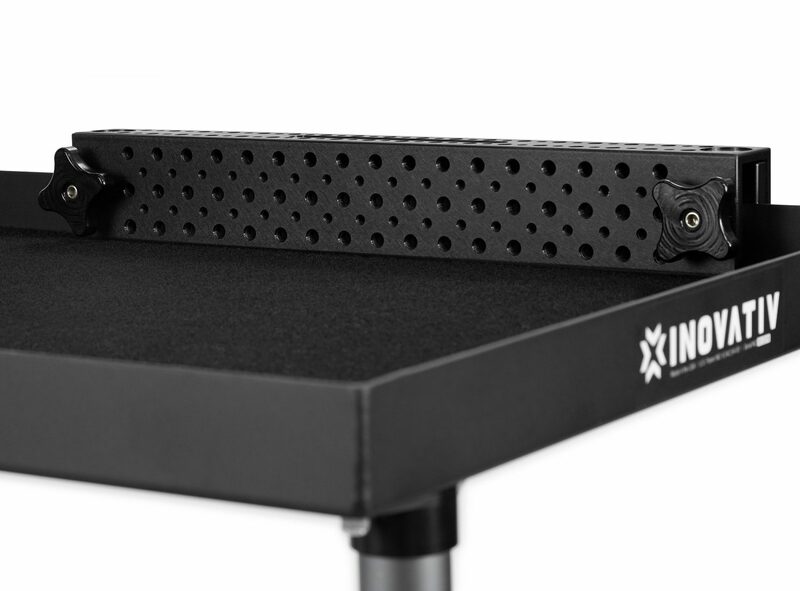 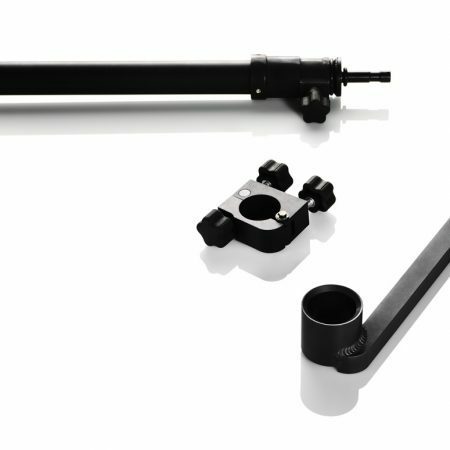 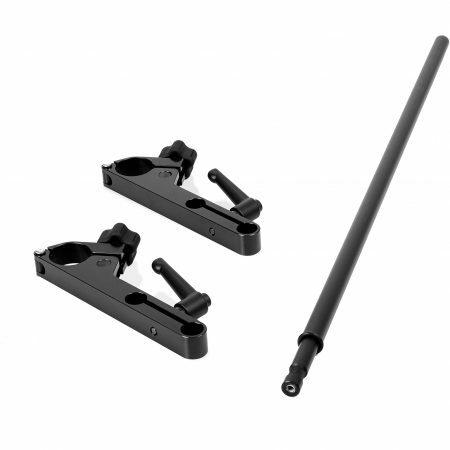 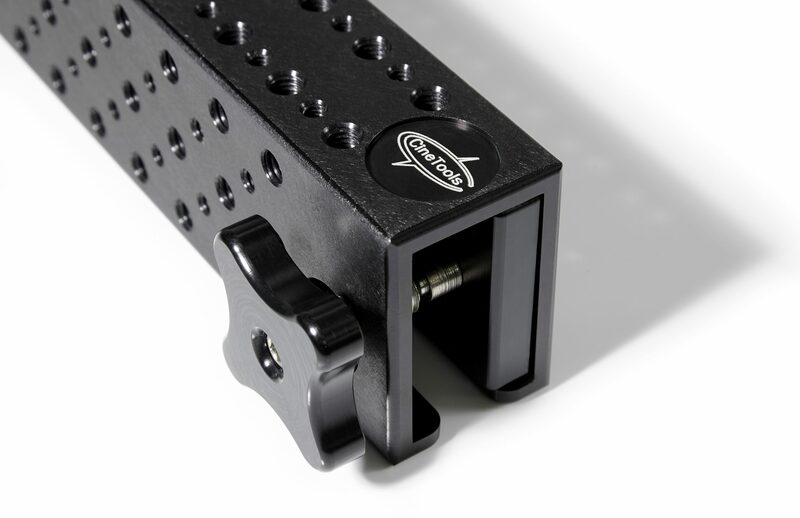 They work seamlessly with INOVATIV equipment carts and provide you with several threaded holes to connect antennas, battery mounts, countless camera accessories, or extra screws. 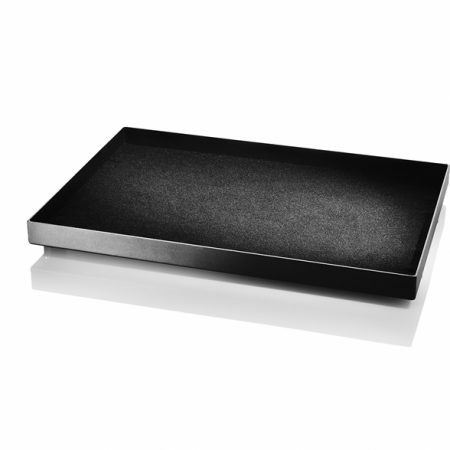 The Rail Racks are available in three sizes and are manufactured using 6061 aluminum and anodized black. They easily clamp to the edge of the carts top or bottom shelf using 2″ machined knobs and Limited Clearance Swivel Pad set screws. 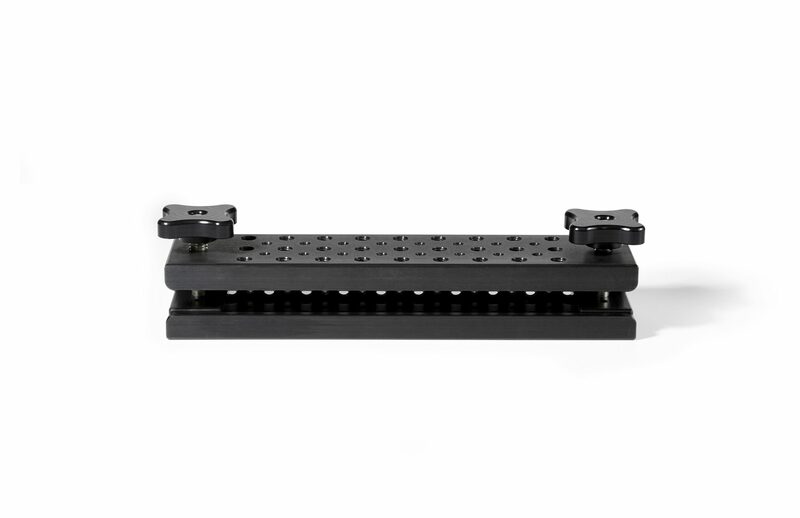 The 6″ Rail Rack is ideal for our smaller carts, like the Scout 31 and Ranger or Echo 30, and have a total of 20 3/8-16 threaded holes and 16 1/4-20 threaded holes.The 12″ Rail Rack is ideal for all medium to large equipment carts. 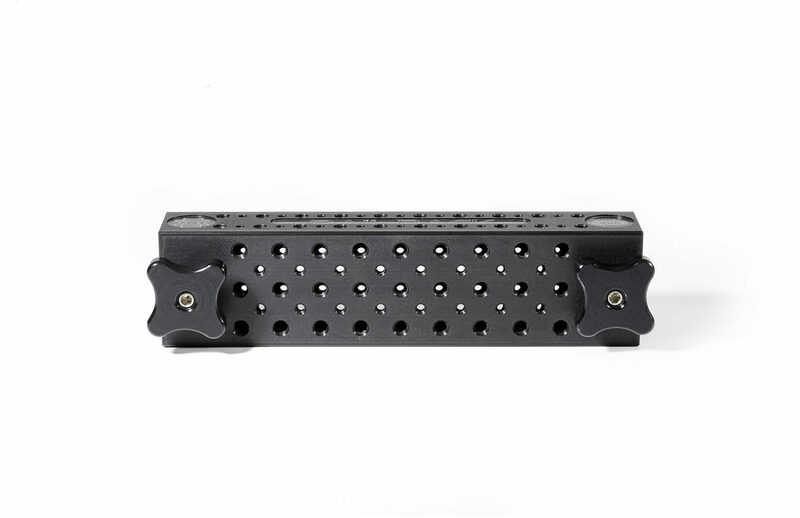 It has 79 3/8-16 threaded holes and 52 1/4-20 threaded holes. 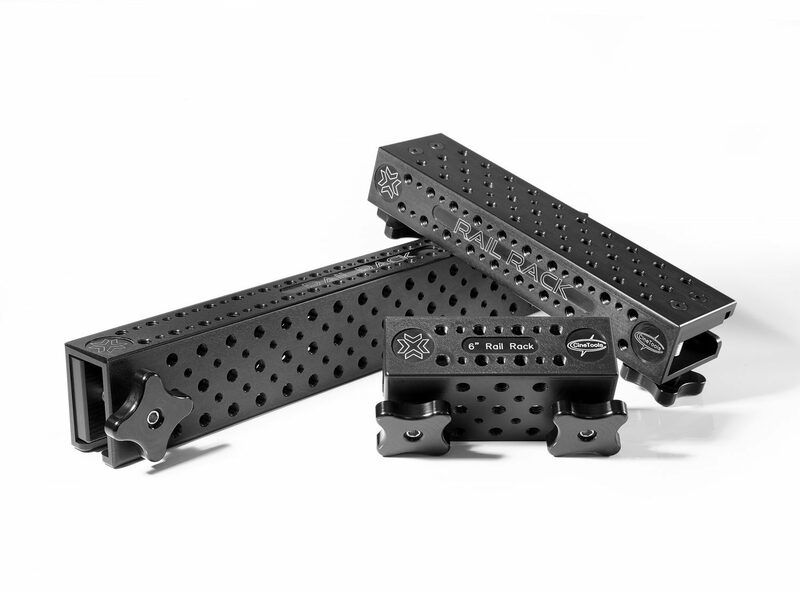 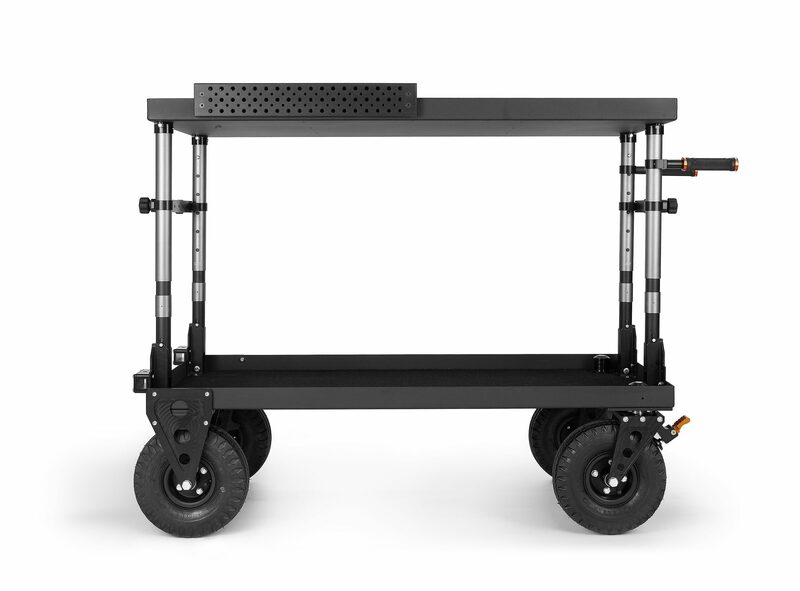 The 20″ Rail Rack is ideal for our 36 and 48 size Ranger and Echo carts. 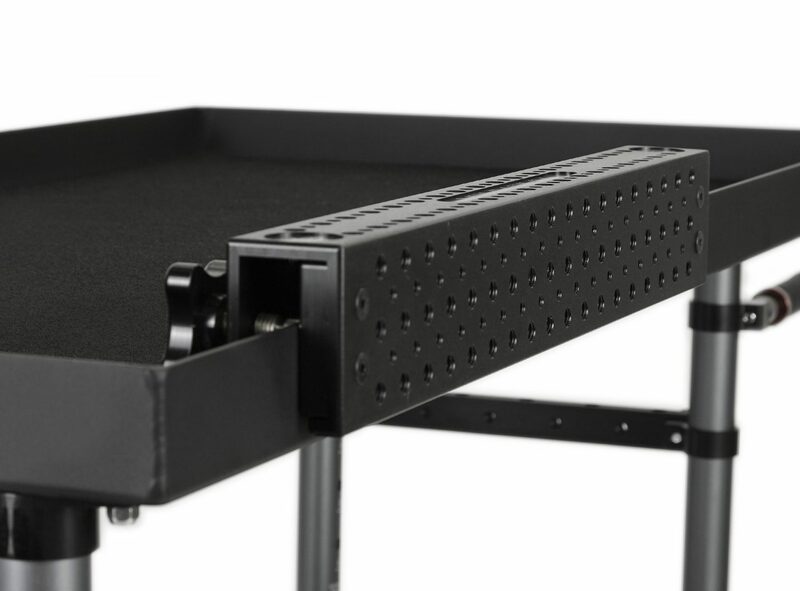 Note, the 20″ Rail Rack does not work with our Scout line. It has 141 3/8-16 threaded holes and 119 1/4-20 threaded holes.